Unfortunately from a St. Patricks point of view Meelin had the Munster Junior A Final very much their own way last Sunday in Mallow. St. Pats started well with two points on the board to no score from Meelin. But it wasn’t long before Meelin got into their stride. Their midfield got on top and started to play good ball into their inside forward line. The first goal came from a mistake by a St. Pats defender and Eamon Brosnan capitalised fully with their first green flag. Another two goals came soon after and from Meelin perspective they would say that they were well taken, which they were, but from St. Pats viewpoint they should have possibly been cleared out of the danger area. 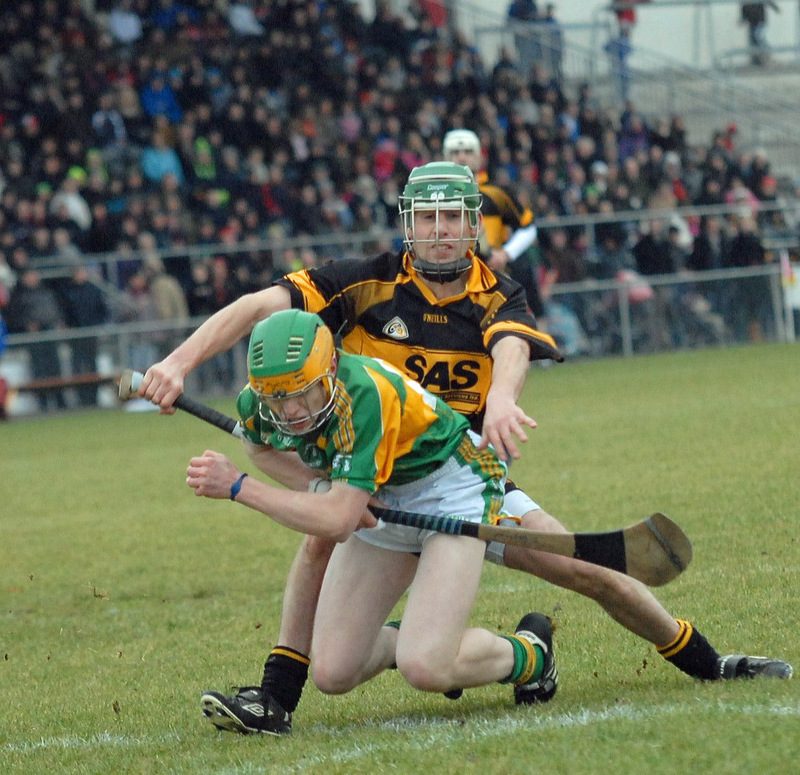 With the three first half goals Meelin’s confidence grew and they played some very good hurling. Their interplay was very impressive. St. Pats struggled to contain them and went in sixteen points down at half time. In the second half St. Pats tried hard but they were never going to turn the game around. Meelin tagged on more scores and unfortunately for our lads picked up two more goals. Meelin were very impressive and thoroughly deserved their win. Their midfield were immense and all their six forwards had the ability to take scores with their full forward Curtain and corner forward Brosnan very much to the fore. For St. Pats it was a disappointing day and we most definitely didn’t show our true form. Well done to all the players and management for providing us with such an enjoyable year. This entry was posted on December 14, 2010 at 10:08 am and is filed under Hurling. You can follow any responses to this entry through the RSS 2.0 feed. You can leave a response, or trackback from your own site.